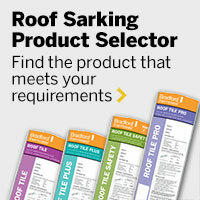 Roof sarking - what is it, why do you need it, what should you get? Want to understand more about roof sarking and what kind of sarking is best for your home or project? Order a free sample pack from CSR Bradford. Everybody wants a comfortable home. We have information, tips and resources available for you to understand how to make your house a comfortable, energy efficient and healthy environment for yourself and your family. Visit the Home Comfort Hub.